On April 26, 1687, the famed diarist Samuel Pepys noted that the Duchess of Newcastle wore “many black patches because of pimples about her mouth.” She likely carried them in a patch box, or boite á mouches. 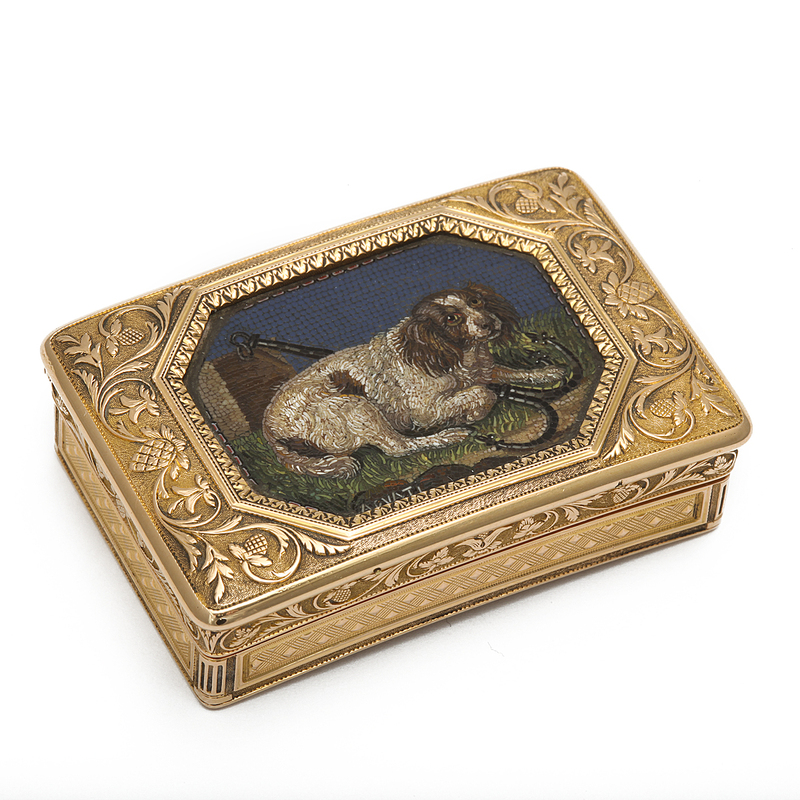 Such boxes were often made of gold, tortoise shell, silver, or ivory and fitted with a mirror, adhesive, brush, and compartments for patches. Some feature additional compartments for cosmetics like rouge or kohl. Made of silk, leather, or taffeta, patches became popular face and body accessories beginning in the 16th century. They came in a range of shapes, including geometric forms, stars, and different phases of the moon. Some were even more whimsical, like the shapes of animals and insects. One theory behind the trend is a superstition of moles and their placement, which were admired as marks of beauty. Donned by both women and men, patches served to accentuate the whiteness of one’s skin and to conceal blemishes. Their placement was a flirtatious language of gestures, as different positions suggested different types of flirtation. A patch near the lips was called the ‘coquette,’ on the forehead, the ‘assassin,’ the ‘roguish’ on the nose, the ‘impassioned’ near the eye and, on the cheek, the ‘gallant.’ Which one are you?